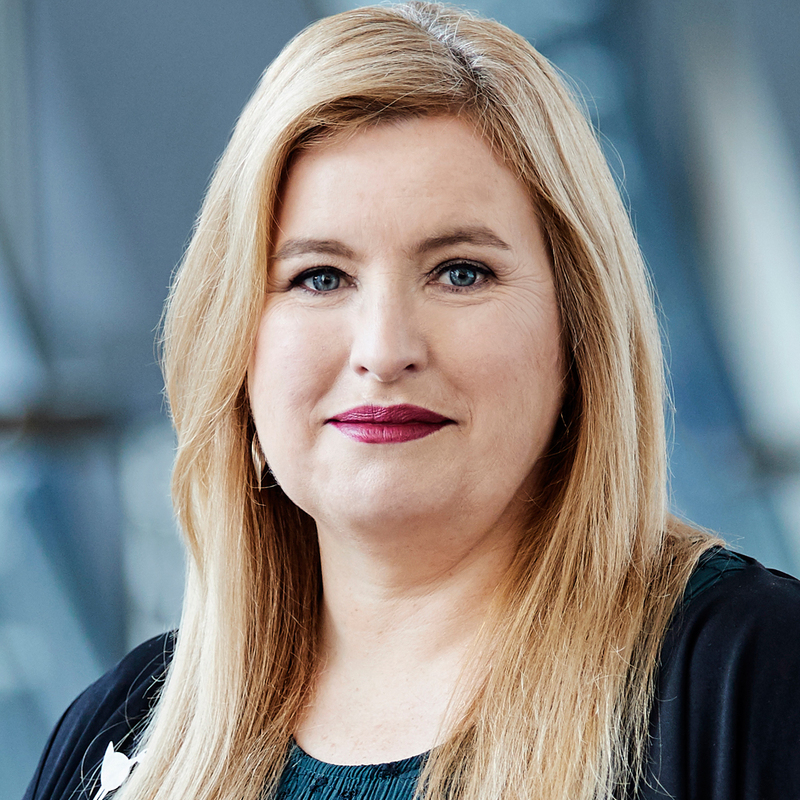 Educated in New Zealand and Australia, Kate is the chair of numerous start-up companies and national committees; she has taught extensively, developed curricula and new degrees, supervised students, published 80 research papers, and worked to help primary school and early childhood teachers in New Zealand introduce STEM into their classrooms. Following a BSc (Honours) in Chemistry from the University of Canterbury, Kate completed her PhD at ANU before taking up a postdoctoral position with the Université de Pierre et Marie Curie, Paris. She undertook two years as a research fellow at Princeton before returning to New Zealand, as a researcher and academic at the University of Otago. In 2004, Kate joined Victoria University of Wellington (VUW) and was appointed Director of New Zealand Centre of Research Excellence, the MacDiarmid Institute for Advanced Materials and Nanotechnology in 2011. A synthetic technique inspired by the biomineralisation process in nacre has been previously reported to be effective in replicating the nanostructural elements of nacre in 2D chitosan hydrogel films. Here we evaluate the applicability of this synthetic biomineralisation technique, herein called the McGrath method, in replicating the flat tabular morphology of calcium carbonate and other nanostructural elements obtained when 2D chitosan hydrogel films were used, on a 3D porous chitosan hydrogel-based scaffold, hence developing 3D chitosan-calcium carbonate composites. Nozzle extrusion-based 3D printing technology was used to develop 3D porous scaffolds using chitosan hydrogel as the printing ink in a custom-designed 3D printer. The rheology of the printing ink and print parameters were optimised in order to fabricate 3D cylindrical structures with a cubic lattice-based internal structure. The effects of various dehydration techniques, including air-drying, critical point-drying and freeze-drying, on the structural integrity of the as-printed scaffolds from the nano to macroscale, were evaluated. The final 3D composite materials were characterised using scanning electron microscopy, X-ray diffraction and energy dispersive X-ray spectroscopy. The study has shown that McGrath method can be used to develop chitosan-calcium carbonate composites wherein the mineral and matrix are in intimate association with each other at the nanoscale. This process can be successfully integrated with 3D printing technology to develop 3D compartmentalised polymer-mineral composites. © 2017 Elsevier Ltd High-water content biopolymer gels are widely used in diverse areas of research and in many commercial processes, including a significant proportion of importance to the food and pharmaceutical industries. The internal structures of these hydrogels are complex and span many length scales, the specifics of which are important in determining functionality. Elucidating these structures is critically important in extending and tailoring their use. Cryo-scanning electron microscopy (cryo-SEM) is a popular method for structural elucidation. A critical step in this imaging technique is cryo-fixation. However, consideration of the literature reveals that images of inefficiently cryo-fixed networks remain widely reported as being representative of the native structure of gels despite being significantly damaged by ice formation. Here, we show that the application of slow freezing methods, like the very commonly used slushy nitrogen method, indeed yield erroneous structures and produce s ingularly common structures for both protein and polysaccharide hydrogels. On the contrary, we demonstrate, by rapidly freezing thin samples of low concentration protein amyloid fibril hydrogels using a propane jet freezer, that cryo-SEM imaging of biopolymer hydrogels in their native state is feasible. In contrast, while the use of cryo-protectants is successful in reducing ice crystallisation, it can affect the bonding within hydrogels and hence, modify the structure under examination. Copyright © 2017 Inderscience Enterprises Ltd. A series of anthracene derivatives were synthesised to explore how their sidechain configurations influenced their phase behaviour and thereby guiding the design of photofunctional liquid crystalline materials. In the case of 9,10-diphenylanthracene derivatives, longer and more alkyl sidechains resulted in lower melting temperatures, yet liquid crystallinity was not observed. A novel room-temperature molecular liquid was synthesised based on 9,10-diphenylanthracene, the optical properties of which may be exploited in photonic applications. Liquid crystallinity was observed in one of the derivatives of 9,10-bis(phenylethynyl)anthracene, forming a nematic phase at around 210°C. These results highlight the potential opportunities for photofunctional materials with enhanced properties if liquid crystalline anthracenes can be found with lower phase transition temperatures. Controlling and manipulating protein behavior at an interface is of immense relevance to a broad range of physicochemical and biological phenomena and technological processes. Although many experimental studies have contributed to rapid progress in the fundamental knowledge of protein behavior at interfaces, detailed molecular-level understanding of the mechanism of protein adsorption at an interface is still remarkably lacking. In this study, atomistic molecular dynamics simulations were used to characterize the adsorption of -lactoglobulin at two different oil/water (O/W) interfaces, where the oil was either the marginally hydrophilic octanol or the more hydrophilic triolein, and the results were compared to those of a previous study utilizing the hydrophobic oil decane. Both the approach to the surface and the mechanism of adsorption depend upon the hydrophilicity of the oil and the interfacial tension of the O/W interface, with the nature of the adsorption, the accompanying structural changes, and the energetic driving force differing markedly between the different oils. Intriguingly, the behavior of the protein resembles that predicted for a soft spherical particle at an O/W interface. The results are also in agreement with key experimental findings, particularly the observation that proteins undergo more conformational change upon adsorption to hydrophobic surfaces, flattening out to expose hydrophobic interior residues to the surface, and that a thicker layer of native-like adsorbed protein forms at hydrophilic surfaces, and reveal structural and mechanistic detail behind each mechanism of adsorption. © The Royal Society of Chemistry 2016. Optical tweezers have been used to investigate the dependance of electrostatic inter-particle forces on separation, in systems consisting of pairs of either model silica beads or emulsion droplets. Measurements were carried out as a function of ionic strength and, at salt concentrations where the Debye length was larger than the standard deviation of Brownian fluctuations of the particles in the traps, results were found to agree reasonably well with the predictions of DLVO theory. Experiments were also carried out where the salt concentration of the environment was changed in real-time while interactions were continuously measured. Specifically, single pairs of particles or emulsion droplets were held in a microfluidic channel in close proximity to an interface created between milliQ water and a 5 mM NaCl solution. Changes in the force-separation curves were measured as a function of time and used to monitor changes in the Debye length, and thus the local salt concentration, as ions diffused away from the interface. The results were shown to be consistent with expectations based on a relevant diffusion equation. © 2015 The Royal Society of New Zealand. Internationally strong science education and research environments have been shown to be important components of a prosperous economy. New Zealand's National Government has recently been reinforcing these messages and prescribing changes to the sector-from wanting more science, technology, engineering and mathematics graduates to greater research translation and end-user engagement. Are the messages enough to ensure changes? If not, what changes are required to our systems to deliver the vision of a prosperous New Zealand built on a vibrant science system? Possible changes will be briefly explored here, in particular, training for students and educators and support for practitioners and research, and development of engagement mechanisms between the research and business sectors. Protein adsorption at liquid-liquid interfaces is of immense relevance to many biological processes and dairy-based functional foods. Due to experimental limitations, however, there is still a remarkable lack of understanding of the adsorption mechanism, particularly at a molecular level. In this study, atomistic molecular dynamics simulations were used to elucidate the approach and adsorption mechanism of -lactoglobulin (-LG) at a decane-water interface. Through multiple independent simulations starting from three representative initial orientations of -LG relative to the decane surface the rate at which -LG approaches the oil/water interface is found to be independent of its initial orientation, and largely stochastic in nature. While the residues that first make contact with the decane and the final orientation of -LG upon adsorption are similar in all cases, the adsorption process is driven predominantly by structural rearrangements that preserve the secondary structure but expose hydrophobic residues to the decane surface. This detailed characterization of the adsorption of -LG at an oil/water interface should inform the design and development of novel encapsulation and delivery systems in the food and pharmaceutical sciences. © 2015, Thomas Telford Services Ltd. All rights reserved Materials which can augment and repair the function of damaged bone are required. Metals, ceramics and plastics have been widely used as artificial bone implants, although their material properties are not optimally matched to those of the native bone tissue. New materials, and methods of production, are being extensively investigated to overcome the limitations of the current implants. In this review, we give an oversight into the current materials used and their limitations followed by an analysis of the new types of materials and techniques which are under development. The groups of materials covered specifically include new metals and metal alloys which are potentially more biocompatible, porous metal foams which mimic the structure of spongy bone and advanced composites which incorporate the properties of multiple materials within one implant. The use of additive manufacturing techniques is also discussed as these techniques allow for the tailoring of the physical properties of the implant and the production of customisable implants. Salicylaldimines are popular ligands used in the synthesis of anisotropic complexes which can form liquid crystal phases (metallomesogens). They tautomerise via exchange of the phenol proton, giving rise to solvent-dependent photophysical behaviour. In this study the photophysical behaviour of a family of 4-alkoxysalicylaldimine ligands and their corresponding copper(II) complexes were examined using electronic absorption spectroscopy and density functional theory (DFT). The solvent-dependent photophysical behaviour exhibited by the ligands is due to changes in the position of the tautomeric equilibrium as the degree of hydrogen-bonding character of the solvent is modified. Furthermore, the ligands bind in an intermediate state in the copper(II) complex, with the possible existence of a third tautomer. The electronic absorption properties of these compounds are strongly affected by changes in the environment around the molecule. © 2014 Elsevier B.V. Continuous self-assembled growth of both the organic and inorganic components of materials with nacre-like structure is achieved upon mineralisation of chitin and chitosan scaffolds using a combined soaking method and the inclusion of poly(acrylic acid) and chitosan oligomers as additives. Macroscopic properties and ensemble average diffusion of concentrated (dispersed phase 50-60 wt%) Na-caseinate-stabilised emulsions for three different oils (soybean oil, palm olein and tetradecane) were explored. On a volume fraction basis, pulsed gradient stimulated echo (PGSTE)-NMR data show that droplet dynamics for all three systems are similar within a region of the emulsion morphology diagram. The exact limits of the emulsion space depend however on which oil is considered. The reduced solubility of tetradecane in water, and Na-caseinate in tetradecane, result in the stabilisation of flocs during formulation. Floc formation is not observed when soybean oil or palm olein is used under identical emulsion formulation conditions. Linear rheology experiments provide indirect evidence that the local structure and the properties of the thin film interfacial domain of tetradecane emulsions vary from those of soybean oil and palm olein emulsions. Collectively these data indicate that protein/oil interactions within a system dominate over specific oil droplet structure and size distribution, which are similar in the three systems. Resistive pulse sensing (RPS) with tunable pores (TPs) has been used to investigate an oil-in-water emulsion stabilised with -lactoglobulin (BLG). The mode of the droplet size distribution steadily increased over four months, from less than 150 nm to more than 200 nm. Results suggest that the dominant growth mechanism was migration of oil to relatively large droplets, as in Ostwald ripening. In contrast, the growth dynamics for salt-induced aggregation suggest flocculation and coalescence of droplets coming into contact. The charge measurement method recently developed by Vogel et al. was also applied to the emulsion. The two data analysis methods used yielded average droplet -potentials of -18.9 mV and -21.8 mV, compared with -27.6 mV obtained using light scattering. Methods for measuring emulsion droplet deformation and the charge on individual droplets are under development. Tunable pores are a useful tool for improved characterisation of submicrometre emulsions, as well as other synthetic and biological particles, as they provide better precision than light scattering for particle number distributions. Emulsions are highly dynamic entropically stabilised systems. In oil-in-water emulsions, it is generally believed that oil transfer from one droplet to another via a series of destabilisation processes (e.g. Ostwald ripening or coalescence) leads to droplet growth. Rapid oil exchange between oil droplets of toluene in toluene/Triton X-100/water emulsions was recently evidenced, without any measurable concomitant change in emulsion droplet size. This dynamic process is the result of oil permeation upon droplet collision through transient holes at the surface of the surfactant layer or via reversible partial coalescence of the oil droplets, i.e. a fusion/fission mechanism. The kinetics of the oil exchange can be monitored by pulsed field gradient-NMR. The time constant of the oil exchange equates to the critical NMR observation time, switch. Here we probe this rapid oil exchange between droplets as a function of emulsion age. The timescale of emulsion ageing is determined from static light scattering and macroscopic phase separation data. The timescale of the dynamic oil exchange is extracted from the NMR data. The switching time switch, is an increasing function of emulsion age. Three effects must be considered when explaining the kinetics of oil exchange as a function of emulsion age: (1) the increasing droplet size; larger droplets move more slowly and interact with one another less frequently leading to a decrease in both the collision frequency and the rate of oil exchange; (2) the increased droplet concentration that arises upon emulsion ageing, reducing the average distance between droplets and (3) the properties of the interfacial domain. © The Royal Society of Chemistry 2013. Biominerals are exquisite materials displaying a diversity of length scales and structural patterns. Formed by biological organisms, their physicochemical properties often show little correlation with their mineral cousins. The hierarchical structure results in, for example, superior ageing, durability and strength compared with the constituent components. Inherently, biominerals are hybrid materials made from organic and inorganic components. Nacre for example is formed from calcium carbonate, chitin and proteins. Analysis of biominerals and their mechanism of formation allow determination of the relative importance of each component. This leads to the formulation of synthetic strategies and enable materials scientists to develop biomimetic materials with new properties. A major component of many biominerals is a three-dimensional organic insoluble matrix. This matrix can be replicated synthetically using hydrogels. Acting as the mineralisation scaffold, and hydrogels, which are porous, allow diffusion of mineralisation solutions and/or gases in and out of the scaffold, are typically biocompatible thereby enabling the formation of intimately interpenetrated composite materials to be synthesized. In this review, the current state of knowledge in this area is summarized and literature pertaining to the use of hydrogels as substrates and scaffolds to form organic/inorganic composites is discussed. The use of the resulting materials as implantable and injectable hybrid materials for medical applications is also discussed. The concentrated (dispersed phase 50-70 wt%) composition space of Na-caseinate, a family of milk proteins, stabilised emulsions was investigated for three different oils: soybean oil, palm olein and tetradecane with pH 6.8 phosphate buffer continuous phase. The variation of emulsion stability and microstructure were explored using static light scattering, diffusion nuclear magnetic resonance, cryo-scanning electron microscopy, rheology and the time varying macroscopic phase separation of the emulsions. For soybean oil and palm olein a rich diversity of emulsion microstructures and stabilities are realised. Five emulsion domains, each having a different microstructure and macroscopic stability have been identified within the composition space probed. For the lowest concentrations of emulsifier bridging flocculation is evident and emulsions are of low stability. Increasing Na-caseinate concentration leads to an increased stability and the existence of distinct individual oil droplets, visualised using cryo-scanning electron microscopy. Further increases in Na-caseinate concentration reduce emulsion stability due to depletion flocculation. Na-caseinate self-assembly is then initiated. At sufficiently high Na-caseinate and/or oil concentrations the continuous phase of the emulsion is a three-dimensional protein network and emulsion stability is again enhanced. At the limits of the emulsion composition space a gel-like paste is formed. The diversity of emulsion microstructure is reduced when tetradecane is the discrete phase. Na-caseinate self-assembly is limited and there is no evidence for formation of a protein network. Ceramic materials have significant utility. Developing synthetic protocols that are facile and provide low energy alternatives to traditional methods remains a major driver in materials synthesis. We present here the adaptation of a method recently developed in our group for the synthesis of porous silica using a non-ionic emulsion template. The silicate materials are porous on both the nanometre and micrometre length scales and surface-to-volume ratios may be readily modified by altering the volume fraction of the emulsion template. Switching the silica precursor for an alumina or titania precursor resulted in the formation of porous alumina and titania materials which were prepared as thin films or monoliths. The pores formed in the amorphous alumina materials were 0.8 m and 50 nm, with a primary particle size of 50-100 nm. The titania materials had pores on one length scale only: 0.8 m, with a smaller primary particle size of 20-60 nm. As-synthesized materials were investigated using scanning electron microscopy and X-ray diffraction. © 2011 Springer Science+Business Media, LLC. The self-diffusion coefficients of water and casein aggregates in aqueous Na-caseinate dispersions were measured using a pulsed gradient stimulated echo nuclear magnetic resonance technique (PGSTE-NMR). The results for water self-diffusion are discussed in terms of the cell model. The influence of Na-caseinate concentration on water self-diffusion can be explained by obstruction and tortuosity effects arising due to the presence of casein aggregates. Unrestricted diffusion of casein aggregates was measured for all concentrations at short observation times ( approximately 20ms). Despite a near uniform size distribution on increasing Na-caseinate concentration the measured unrestricted diffusion coefficient was a decreasing function of Na-caseinate concentration. Enhanced packing interaction between the aggregates and the slight augmentation of the large tail in the size distribution is the main reason for this observed decrease. On increasing the experimental observation times restricted diffusion of the aggregates is measured. The rheological response of the dispersions was investigated. The stress evolution of the sample with time exhibits three distinct behaviours, irrespective of Na-caseinate concentration and applied shear rate: a spontaneous increase of stress at very short times (<1s), followed by a plateau with fine structure superposed and lastly a sharp increase in stress attributed to irreversible gelation. The latter occurs at significantly reduced times on increasing Na-caseinate concentration. Linear rheology measurements indicate that the dispersions are predominantly locally liquid-like while being macroscopically in a gelled state. We report a soft and straightforward method for synthesizing two- and three-dimensionally patterned silicate materials by phase separation using nonionic emulsion templates. Our liquid-state method involves, under controlled atmosphere, the mixing of a condensed silica solution with an oil-in-water emulsion in the presence of a solution of a nonionic emulsifier, Triton X-100. The preparation is stabilized using an organic solvent. The morphology of the silicate materials is significantly modified by changing the reaction conditions or the concentration of the reagents. Three-dimensionally macro and nanoporous continuous films and nanoporous individual spherical particles, both made of amorphous silica, are obtained. The structure of the films and particles is defined by the emulsion template. Films were on average 20 microm thick with a volume-based porosity of approximately 7 x 10(-2) cm(3) g(-1), with pore size correlating well with the size of the oil droplets in the templating emulsion. The siliceous films are bicontinuous leading to large surface areas and openly accessible pores. Individual spheres ranged in size from approximately 1 to 6 microm in diameter with nanoporous openings of 300 nm in diameter. The porosity and integrity of all materials are maintained upon calcination. Nucleation of calcium carbonate was achieved on mixed octadecanoic acid/octadecanol Langmuir monolayers. Two different nucleation regimes are distinguished based on monolayer alcohol content corresponding to the zone axes [01.0] (high alcohol content, weak or no interaction between the critical calcium carbonate nucleus and the monolayer) and [11.0] (low alcohol content, stronger face selective nucleation). The cation-mediated hydrogen-bonded soap network, is disrupted by the presence of the alcohol, resulting in a reduced interaction between, the monolayer and the subphase. This leads to little or no control over the nucleating crystal. The alcohol, concentration at which the transition between the two preferential, zone axes occurs is weakly dependent on growth pressure. No other variation with growth pressure was observed. ©2009 American Chemical Society. Intermolecular interactions lie at the root of many fundamental processes in nature. For example, they define membrane formation and crystallisation processes. Here, using Langmuir monolayers, we have investigated the role of intermolecular interactions in defining non-equilibrium monolayer structure and response, specific to a nucleating subphase chemistry. In particular, the interactions in mixed alcohol/carboxylic acid systems have been explored on four different subphases: ultrapure water, calcium chloride, sodium bicarbonate and a calcium carbonate crystallising subphase. Area per molecule, surface pressure and surface potential were analysed as a function of mol% ratio of acid to alcohol on each of the subphases. Comparison of the data across the subphases showed that three main interactions dictate the behaviour of the monolayer: (1) formation of a hydrogen-bonding network (predominantly dominating intramonolayer structure), (2) electrostatic interactions between the charged monolayer and strongly binding counterions and (3) the formation of a hydrogen-bonded soap network induced by the presence of bicarbonate coions. The latter provides a potential mechanism for defining directionality of interfacial interactions, and therefore face-selective nucleation. Exocytosis is a key biological process that controls the neurotransmission and release of hormones from cells. In endocrine cells, hormones are packed into secretory vesicles and released into the extracellular environment via openings in the plasma membrane, a few hundred nanometers wide, which form as a result of fusion of the membranes of the granule and cell. The complex processes and dynamics that result in the formation of the fusion pore, as well as its structure, remain scantly understood. A number of different exocytosis mechanisms have been postulated. Furthermore, the possibility exists that several mechanisms occur simultaneously. We present here an investigation of the cell membrane dynamics during exocytosis in anterior pituitary cells, especially gonadotropes, which secrete LH, a hormone central to ovulation. Gonadotrope enrichment was achieved using immunolabeled magnetic nanobeads. Three complementary imaging techniques were used to realize a fine structure study of the dynamics of the exocytosis-like sites occurring during secretion. Living pituitary and gonadotrope-enriched cells were imaged with atomic force microscopy, as well as cells that had been fixed to obtain better resolution. Atomic force microscopy, along with scanning and transmission electron microscopy, studies of these cells revealed that there are at least two different site configurations: simple single fusion pores and a complex association of pores consisting of a simple primary site combined with secondary attachments. Controlling stability and aging of emulsions is important from commercial and scientific perspectives. Achieving such control comes through gaining an understanding of the relationship between emulsion constituents and microstructure and how these influence the kinetics and mechanism of destabilisation. We present here an investigation determining the rate of destabilisation as a function of time for a series of water/n-alkane/Triton X-100 oil-in-water emulsions. The time dependence of the emulsions was investigated using static light scattering, PFG-NMR and measurement of gross phase separation. By changing the chain length of the oil from hexane to tetradecane, an almost five orders of magnitude variation in emulsion lifetime could be achieved, while maintaining most of the other chemical and physical characteristics of the emulsions. Further, we show that while Ostwald ripening is the dominant destabilisation mechanism, two distinct regimes are evident. Initially, we observed an enhanced Ostwald ripening regime due to the presence of oil-swollen micelles in the aqueous continuum, that is a depletion flocculation mechanism is followed. The presence of oil-swollen micelles was confirmed using PFG-NMR. The micelles aid the gross oil transport between the discrete oil domains. Upon phase separation the oil-swollen micelles are predominantly removed from the emulsion along with the excess water resulting in a concomitant reduction in the ripening rate, producing the more general Ostwald ripening cubic dependence of droplet radius as a function of time for the lower molecular weight oils. The oils with higher molecular weight (decane and above), however, were observed to switch over to destabilisation via creaming. PFG-NMR was shown to be a powerful technique to fully probe emulsion microstructure as a function of time with droplet size and spacing being directly obtained from the data. Diffusion-diffusion correlation measurements by NMR are used to investigate the degree of orientational order in the lamellar phase of Aerosol OT (bis(2-ethylhexyl) sodium sulfosuccinate) and water at a range of surfactant concentrations (25, 33, and 50 wt %). We show that true isotropy of the domains is found at the lowest concentration but that at higher concentrations deviations from isotropy can be found, as evidenced by asymmetry on the 2D correlation distributions. We further discuss the significance of asymmetry in diffusion-diffusion exchange experiments, 2D distributions that should always be symmetric in steady state. Aerosol OT/water exhibits a lamellar phase over a wide range of concentrations. We show, by magnetic resonance (NMR) and scanning electron microscopy (SEM), that the morphology of the lamellar phase varies significantly across that range and that the rate of equilibration depends strongly on concentration (25, 33, and 50 wt %) with, paradoxically, the faster equilibration at higher surfactant concentrations. We find that the 25 wt % sample exhibits a defect-rich local structure, characteristic of a superposed L(3) character. Further into the lamellar region, at 33 wt %, this defect-rich structure persists heterogeneously, while, at 50 wt %, the lamellar phase domains are highly ordered. The NMR methods used here included (2)H spectroscopy and the two-dimensional NMR method, diffusion-diffusion exchange spectroscopy (DEXSY). The latter was used to obtain quantitative information on the domain sizes and defects within the polydomain lamellar mesophase. Comparison of the NMR with the SEM results suggests that, at 25 wt % AOT, bilayer defects play an important role in influencing the (2)H NMR and DEXSY NMR results. The effect of sulfate and selenate anions on the rate of coagulation of alumina colloids by Al(III) salts has been investigated under conditions typical of potable water treatment. Methods used included conventional light scattering and jar test coagulation experiments, determination of zeta potential and measurements of surface forces using an atomic force microscope. The presence of sulfate or selenate increases the initial rate of Brownian coagulation of the colloids, compared to an Al(NO3)3 coagulant by approximately two orders of magnitude. In jar testing, Al(NO3) 3 coagulant produced fluffy, low density flocs with the greatest floc formation occurring at the highest pH (pH 8), whereas with Al 2(SO4)3, floc density was greater and optimum floc formation occurred at an intermediate pH (pH 6). AFM measurements reveal that sulfate (as Na2SO4) exhibits surface forces that cannot be modeled by simple DLVO theory, with a long-range (>10 nm) attractive force dominating, with hysteresis on the compression and decompression curves indicative of a bridging mechanism. The same behaviour was observed with the analogue Na2SeO4. With Al(NO 3)3 electrolyte, simple forces that can be modeled using DLVO theory were observed, but the uniformly repulsive forces were independent of pH. The force curves in the presence of Al2(SO4) 3 were more complex than those with Na2SO4, showing van der Waals attraction dominating at small separation at the PZC and largely repulsive forces at other pH values. The overall results underline the unusual surface effects induced by sulfate (and selenate) with aluminium oxyhydroxide surfaces. © 2005 Elsevier B.V. All rights reserved. The microstructure of a series of oil-in-water emulsions, formed in the toluene/triton X-100/water system, was investigated as a function of energy input during the formulation process. Emulsion microstructure could be manipulated for a single emulsion composition by changing only the amount of energy supplied during emulsification. Four different emulsion microstructures are realisable in this system: two distinct discrete oil droplet structures (low- and high-oil content) separated by a bicontinuous system and finally for the highest oil content a closed-cell foam structure. The two discrete oil droplet emulsions responded in an opposite sense on increasing formulation energy. For the low-oil content droplet emulsion the average droplet diameter decreased on increasing energy input whereas the average droplet diameter for the high-oil content emulsions increased. Indicating that the interfacial characteristics of the two droplet emulsions are different. Creaming results confirmed this differentiation. The bicontinuous emulsion, which bridges the two droplet emulsions in the phase diagram, could only be realised for very low energy inputs, whereas the closed-cell foam emulsion was almost completely independent of formulation energy used. Rheological investigations of a given emulsion composition, formed with varying input energy, showed a single response only, the result of one common microstructure being formed upon application of the external stress. These results show that the strength of the interfacial domain of these emulsions, controlled primarily by the triton X-100, is extremely weak, being readily manipulable during formulation but equally so upon processing. © 2005 Elsevier B.V. All rights reserved. In this paper, two ternary systems (water, Triton X-100, and octane or tetradecane) were investigated using freeze-fracture transmission electron microscopy, rheology, laser diffraction particle sizing, and pulse field gradient NMR (PFG-NMR). Oil-in-water dispersed droplet emulsions were prepared for Triton X-100 concentrations of 8-12 wt % while maintaining a surfactant-to-oil weight ratio of 1:5. The stability of the emulsions significantly increased with both the surfactant concentration and the chain length of the oil component. The PFG-NMR results could be explained as a superposition of three different types of diffusion: restricted diffusion of the oil in the droplets and free and restricted diffusion of the droplets themselves. The PFG-NMR results were correlated with the electron microscopy images and the particle-sizing data. Moreover, to gain a greater understanding of the role of the oil-surfactant interactions, in particular, the present investigations were placed in context with an earlier publication where toluene was used as the oil with the same emulsifier. The change from the aromatic oil, which is a better solvent for the surfactant, to an alkane-based oil dramatically changed the characteristics of the interfacial domain. On one hand, the concentration range for the formation of emulsions and the variety of microstructures realized were severely restricted and reduced when using the alkanes as compared with toluene. On the other hand, the interfacial film was much more stable leading to an extremely reduced rate of droplet coalescence. The correlation of molecular diffusion coefficients obtained via a novel two-dimensional pulsed gradient spin-echo (PGSE) NMR method has been shown to reveal detailed structural information on the mesophases of lyotropic liquid crystals. A four-component system containing both nonionic (pentaethylene glycol monododecyl ether) and ionic (sodium dodecyl sulfate) surfactants, water, and decane was prepared and left to equilibrate. In the temperature region around 309 K, a lamellar mesophase forms. A two-dimensional Laplace inverse transformation was performed on the (gammadeltag)2(delta - delta/3) domain data to separate any multiexponential behavior that resulted from local anisotropy. The results of the double PGSE experiment with contiguous gradient pulse pairs, applied both collinearly and orthogonally, clearly show the presence of local anisotropic self-diffusion of the water molecules and suggest a preferred orientation of the lamellae. Information about defects/domain size was obtained by the insertion of a mixing time (t(m)') between the successive gradient pulse pairs. This work highlights the value of this new NMR correlation method in the study of surfactant systems. We present here the synthesis of hierarchical calcite, grown in the presence of acidic glycoproteins isolated from adult spines of the sea urchin Evechinus chloroticus. Hierarchical growth is only achieved when kinetic growth control (attained for high concentrations of calcium ion) is superimposed on the thermodynamic constraints imposed by crystal growth under limiting carbon dioxide in the presence of glycoproteins. Cleaved oligosaccharides produce analogous hierarchical structures, suggesting that they provide a similar growth environment for the calcium carbonate as the parent glycoproteins. Their effect is achieved at lower concentration as compared with the glycoproteins. Deglycosylated protein does not produce this effect and at high concentrations completely inhibits calcium carbonate growth. This paper describes a new convenient and accurate method of calculating x-ray diffraction integrated intensities from detailed cubic bilayer structures. The method is employed to investigate the structure of a particular surfactant system (didodecyldimethylammonium bromide in a solution of oil and heavy water), for which single-crystal experimental data have recently been collected. The diffracted peak intensities correlate well with theoretical structures based on mathematical minimal surfaces. Optimized electron density profiles of the bilayer are presented, providing new insight into key features of the bilayer structure. Biomineralisation arises due to a partnership between the biological and inorganic components of a living system. The final structure and form of the inorganic material is in some way controlled by the nature of the specific organic entities present. This manifests itself in the initiation of the growth, by providing the appropriate matrix in which the inorganic material forms and/or by providing a "defect" base such that the inorganic crystal packing may be appropriately perturbed. Working with proteins is not necessarily the best or easiest way to understand a physical process and over past years people have turned to simple organic molecules, surfactants, small biological moieties and organic substrates in order to determine, at least in part, the import of organic/inorganic interactions during the growth of the inorganic material. As one example of these additives, surfactants, which represent approximately 50% of the cell membrane, display a diverse and vast array of geometrical forms in aqueous solution, many of which bare striking resemblance to biominerals, albeit on considerably smaller length scales. They also have the ability to associate in solution with inorganic material precursors, such as calcium ions. Hence, while they may not be the main driving force in the formation of biominerals, they are certainly present during the process and may, when used as model systems, allow us some way into the world of nanomaterials. Surfactants, a series of simple alcohols and carboxylic acids, and proteins extracted from the spines of adult sea urchins, have been used by our group to study the formation of calcium carbonate based inorganic materials. The growth of the calcium carbonate is significantly affected by the inclusions, with deviations varying from simple stepped growth to the formation of curved surfaces. The ability to determine the calcium carbonate polymorphic ratio of calcite, aragonite and vaterite in a mixture is important for a variety of applications, particularly the fields of biomineralisation and crystal engineering. Raman spectroscopy and powder X-ray diffraction were used to quantitatively determine the polymorphic composition of both binary and tertiary mixtures of calcium carbonate. It was found that the quantitative detection limits of powder X-ray diffraction were superior to both Raman and infrared spectroscopy. We study the confinement of polysoaps in lyotropic smectic (L) and sponge (L3) solutions of the nonionic surfactant pentaethylene glycol dodecyl ether (C12EO5). The polysoap is a hydrophobically modified polymer with n-tetradecyl sidegroups randomly grafted to a polyacrylate backbone. Without the hydrophobic side chains the backbone polymer cannot be embedded into the intermembrane space, but confinement is achieved for a polysoap with as low as 1% of grafted groups. We measure by small angle x-ray and neutron scattering an increase of the bending rigidity of the lamellar membranes as a function of polysoap concentration. © 1998 The American Physical Society. The lyotropic L3 phase was used as a template to form nanoporous monolithic silicates with continuously adjustable pore sizes. The monolith was optically isotropic and transparent with a nonperiodic network. The pore size was adjusted by a change in the solvent volume fraction rather than by a change of the surfactant. Unlike other silicates, the bicontinuous pores were water-filled; removal of surfactant was not necessary to access the pores. Measured characteristic dimensions were from six to more than 35 nanometers. For a given solvent fraction, x-ray scattering indicated little variation of pore widths, in marked contrast to the polydisperse pores of aerogels. McGrath, KM 1997, 'Formation of two lamellar phases in the dilute region of a quasiternary surfactant system', Langmuir, vol. 13, no. 7, pp. 1987-1995. In the dilute region (between 65 and 95% solvent by weight) of the quasiternary system cetylpyridinium chloride/hexanol/1 wt % NaCl solution two distinct lamellar phases have been observed to exist. The two phases differ in several physical aspects including their inherent defect nature, turbidity, density, viscosity, and characteristic interlamellar distance. The existence of a region of coexistence between the two lamellar phases is masked by its extreme sensitivity to temperature changes, the formation of a mesoemulsion, and the often extremely long equilibration times. A neutral polymer, polyacrylamide, was added as a component of the solvent to the system and was taken up more readily by the more dilute lamellar phase. Mahjoub, HF, McGrath, KM & Kléman, M 1996, 'Phase transition induced by shearing of a sponge phase', Langmuir, vol. 12, no. 13, pp. 3131-3138. For the first time it has been shown that upon shearing of a sponge phase in a Couette cell a phase transition to a new highly birefringent phase with the same viscosity was induced. This transition is dependent upon the concentration of solvent, the length of time of shearing, and the history of the system. The C3N+ ion, generated by electron impact on HC3N and C4N2 and as a product in several ionmolecule reactions, was found to exist in two isomeric forms: CCCN+ and cylic C3N+. These forms were distinguished by their different reactivities with a range of neutral reagents in a selected-ion flow tube (SIFT). Isomeric identification was made by reference to existing ab initio calculations. The most reactive isomer, CCCN+, was the major form (90%) of the C3N+ ion from all sources of production examined and was found to undergo collision-rate reactions with most of the neutral molecules studied. c-C3N+ was much less reactive, which implies an activation barrier in its reactions as it is the higher energy form. Product distributions are reported for the reactions of CCCN+, and rate coefficients for the reactions of both isomers with H2, CH4, NH3, H2O, N2, O2, CO, C2H2, HCN, CO2, and C2N2 at 300 ± 5 K are also given. © 1992, American Chemical Society. All rights reserved. Langmuir monolayers offer the possibility of a facile method for controlling crystal nucleation. Despite such promise, to date, while many studies have been reported, an understanding of the fundamental aspects of the monolayer in order to readily and reproducibly achieve controlled and defined facial nucleation has not been achieved. Six fatty acid monolayer systems, based on octadecanoic acid, have been investigated that differ by one functional group only, five at the position, H, OH, Br, CH3, and COOH, and one at the position (OH). The monolayer behavior of these six systems was investigated on each of pure water, calcium chloride, sodium bicarbonate, and calcium carbonate crystallizing subphases. Isotherm characteristics, modified on addition of subphase ions, are explained based on the strength of interaction of the surfactant headgroup with the calcium counterion: COOH and OH ( position) being strong binders of calcium ions, H and OH ( position) medium binders, and CH3 and Br weak binders. This coupled with the influence of the bicarbonate co-ion inducing the formation of a cation-mediate hydrogen bonded network and the monolayer fluidity reveal that the greatest degree of control over calcium carbonate nucleation events is afforded by disordered (predominantly in the hydrocarbon tail region) monolayers composed of weak counterion binding head groups. Collectively, these enable significant participation of the co-ion in generating a network pre-emptive of calcium carbonate nucleation. © 2010 American Chemical Society. Hodgkinson, IJ, Wu, Q & McGrath, KM 1999, 'Moisture adsorption effects in biaxial and chiral optical thin film coatings', Proceedings of SPIE - The International Society for Optical Engineering, pp. 184-194. Thin film form birefringence depends on the shape or bunching of nanostructural columns and on the difference in the refractive indices of the columns and the surrounding voids. When moisture from the atmosphere enters the nanostructure the linear form birefringence may decrease by a large amount, of the order of 50%. However, current data refers to tilted-columnar films. We report here on moisture penetration effects in films fabricated by serial bideposition and engineered for large linear form birefringence or large circular form birefrigence. As well, we consider post-deposition processes that may retard the uptake of moisture. Vacuum deposition results in oxygen deficient surfaces which rapidly absorb oxygen from the atmosphere either in the form of O2 or H2O. In order to retard water uptake this deficiency must be reduced, possibly by annealing samples in an oxygen rich atmosphere subsequent to deposition. Alternatively, surface oxide and hydroxyl groups can be rendered hydrophobic via reaction with silane derivatives. Both methods have been tested for their effectiveness in retarding water uptake. Mahjoub, HF, Bourgaux, C, McGrath, KM, Tassin, JF & Kleman, M 1997, 'Sponge phase under shear', Materials Research Society Symposium - Proceedings, pp. 145-150. The L3 phase under shear transforms to a lamellar phase L* above some critical shear rate. We study the sequence of successive states (rheothinning, flow birefringence, transition region, lamellar) with simultaneous rheooptical methods, in situ X-ray scattering, and light microscopy observations. The transition region is biphasic, and the two phases display epitaxial relationship immediately after shearing is ceased.